4-Pack Alloy Friction Pull Back Cars Just $22.99! Down From $70! You are here: Home / Great Deals / Amazon Deals / 4-Pack Alloy Friction Pull Back Cars Just $22.99! Down From $70! Amazon has this 4-Pack Alloy Friction Pull Back Cars on sale for just $22.99 down from $69.99 PLUS FREE shipping with Amazon Prime or for orders over $25! Give your child exactly what he needs for fun, varied play time and time again with the. It’s a good value for children interested in learning. 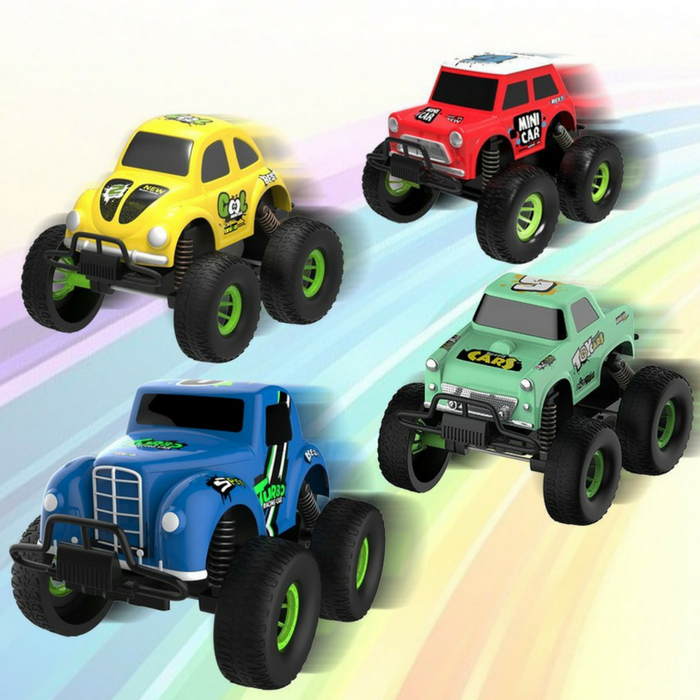 Larger than most mini pull-back toys, these friction powered monster trucks are sure to crush the competition. Teach your child how the friction motor stores kinetic energy to be released at a later time. Monster trucks mini 4 pcs – friction powered pull back monster jam trucks and cars that make great stocking stuffers. A great educational toy to teach your child about how the friction motor stores kinetic energy to be released at a later time.